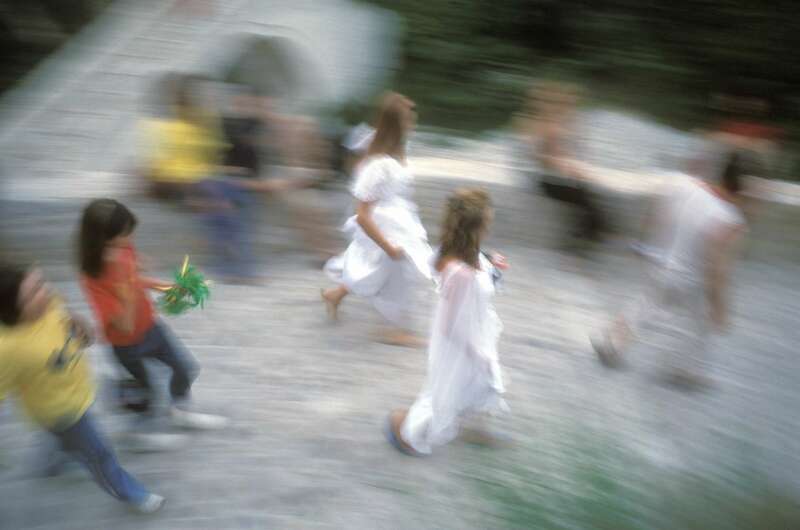 Children dressed in white run to take part in the dedication ceremonies of the rebuilt Mostar Bridge. Croat and Muslim schoolchildren were supposed to participate in the opening, but Croat parents decided to take their children out of the ceremony because, they said, they were afraid the children would slip on the paving stones on the bridge. The weak excuse was widely seen as a reflection of the reluctance, especially among Croats, to re-integrate the two communities.